This symposium considers food as subject matter, metaphor, and material in art, in order to explore the vulnerabilities of artistic form, of art’s audiences, and of the category ‘art’ itself. Speakers will address the representation of food in art, art criticism, visual and material culture, and literature since the nineteenth century. We seek to explore the sensual complexity of responses to diverse media, in contrast to art historical methodologies and languages that are dominated by concepts of visuality. Speakers will consider still life by Chardin, Courbet, Vollon, and Manet, alongside illustrated gastronomic literature, fin-de-siécle novels, photography, and film. How do these painted, printed, articulated, shot, and digitized representations of the culinary evoke multi-sensory experience in differing, but mutually inflecting ways? We will approach this question through the concept of decay. 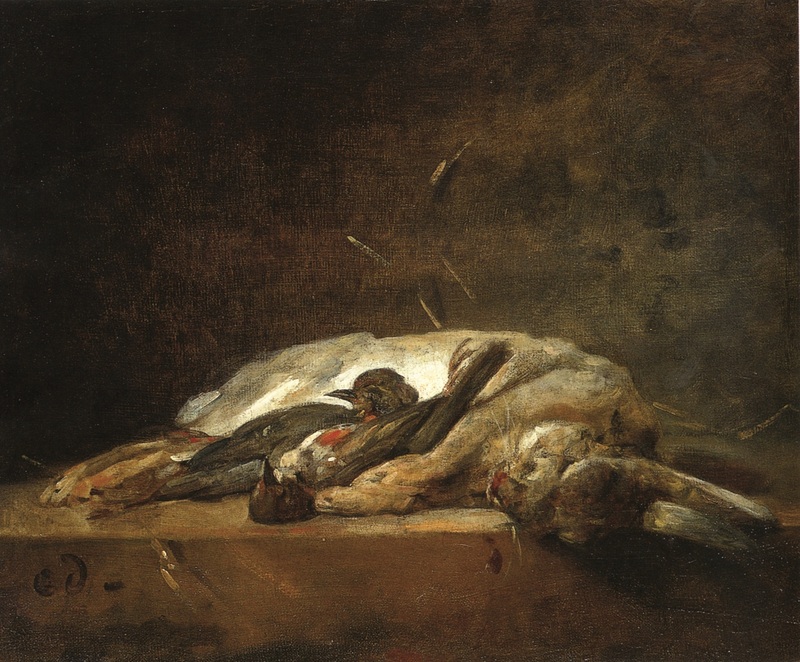 In the nineteenth century, critics sometimes claimed that works of art or the figures within them seemed to be decomposing like aging meat or ripening cheese. Often this was to debase art, challenging its claims to temporal endurance and continuing value, suggesting that the materials of art were fragile, vulnerable forms. The organic materiality of paint often seemed particularly unstable. In so doing, critics even suggested that art was capable of threatening the viewer’s body, provoking reactions best described through the senses of taste, smell, and touch. Rather than conceiving of the eye as an instrument that functioned at a safe distance, many described it as a vulnerable organ through which the entire body was made subject to harm or injury. Opening out such expressions of ambivalence, anxiety, and disgust creates space to interrogate embodied encounters with art in the present as well as in the past. Whether real or metaphorical, food has played a central role in art, its criticism, and its institutions. All welcome. This event will be followed by a reception. Please register here.